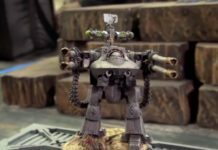 Home Warhammer 40k 3 Quick Tips To Improve Your Miniature Painting! 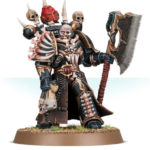 3 Quick Tips To Improve Your Miniature Painting! All of us at Nights have a very special article for you today! 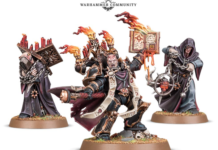 Just like our most recent article regarding playing Warhammer while traveling, we have another article straight from the mind of our founder, Adam Lyons! 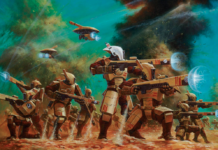 Below, we have three of his favorite tips on supercharging your painting skills! I’m not the best painter in the world. The best I’ve ever done is getting a silver at Reapercon. 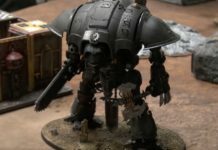 So these 3 tips are all designed to help beginners get good looking models on the table fast. Below, we have a mini from community member Richard Kruse, who I had the joy of working with on his painting skills! It’s a good start, absolutely, but I’ve got a few types that can take almost any model to the next level! Greyscale is essentially black and white, or goal is to have shadows looking dark; and the raised areas looking white. The easiest way to achieve this is to spray the model black. Personally we use Krylon ultra flat white. It HAS to be the ultra flat so it doesn’t add thickness to the model. But it’s cheap, and does a great job. The key here is to spray in a circle around the top of the miniatures head. And then once directly down on the head. 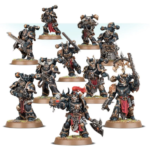 This ensures the entire top of the miniature is painted… and the sides have a light spray. Look at the model and you’ll see that from the bottom looking up it’s almost black. And from the top looking down it’s almost white. With all shades of grey in between. Now you’ve got a grey scale. Now you’re going to coat the model in a black wash. We like Nuln oil from GW. You want it to pool in the recesses. Some call it liquid shadow, and that’s about right. I apply a solid amount of this all of the miniature by dabbing it on, and allowing it to build up. Once it’s dry, I take a white dry paint from GW (Praxeti white)and do a light dry brushing going in one direction from top to bottom on the model. This brings back my whites on the raised areas. At this point you’ll have a pretty badass looking model. And it’ll look like a black and white comic. Which is EXACTLY the goal. 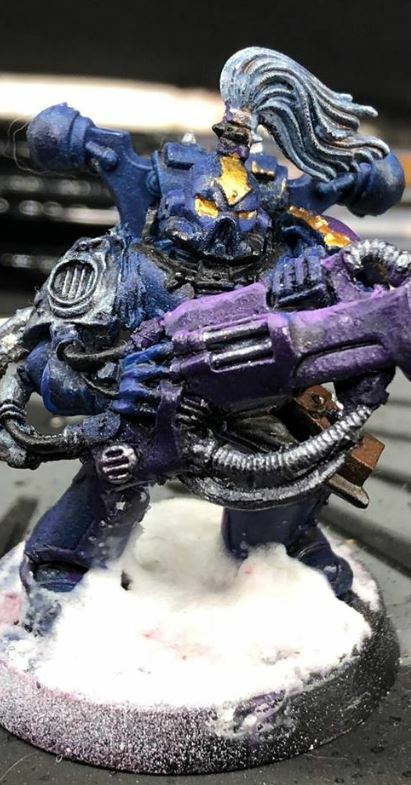 This style of painting is a simplified and less accurate version of something known as “Sketch Style” was taught to me by famous painter Matt DiPietro of Contrast Miniatures who has won multiple painting competitions, Golden Daemons and more. This is the easiest part. 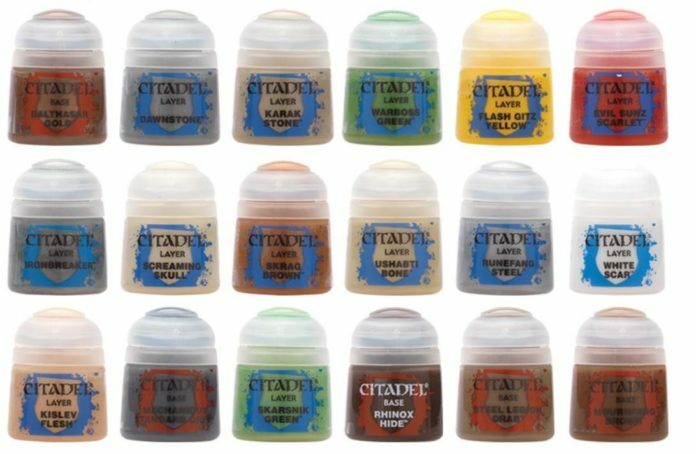 Take your favorite washes or glazes from GW. I like a ration of 5 drops wash to 1 drop paint. And then add the wash to the area you want painted. 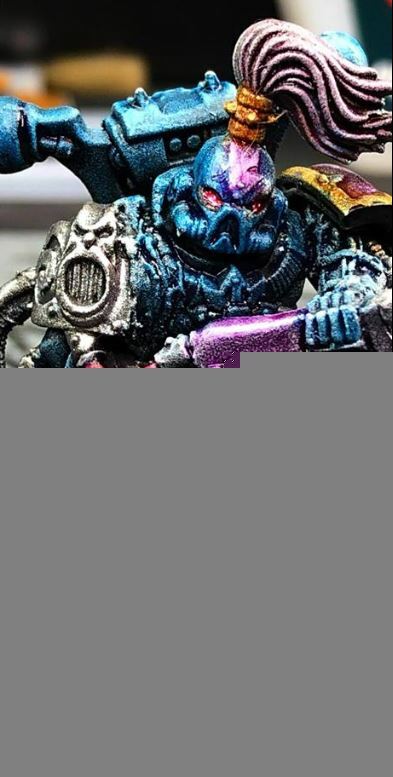 The wash/paint combo is too weak to paint over black areas. But stains the white areas the color you want. Some colors take 2 coats. But the wash is easier to apply than a paint, and makes painting the model incredibly easy! When you apply all these techniques together, you can get a model that looks like the one below! All of the tricks I’ve mentioned are quick and easy, and they’re a fantastic first start as you begin to immerse yourself in the world of painting! This article is based in part on a popular Facebook post by Adam. 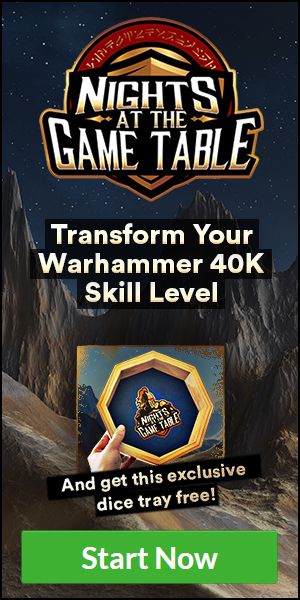 To see more great tips on all aspects of the 40K world, click here to join NATGT on Facebook! 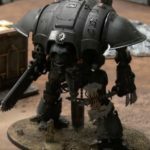 Previous article3 Essential Rules To Playing Warhammer On The Road!